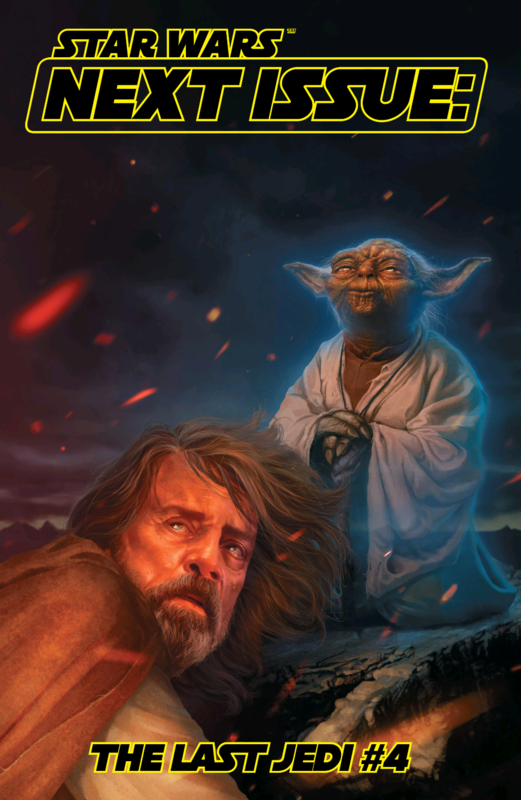 Writer Gary Whitta’s comic book adaptation of Star Wars: The Last Jedi continues this week with issue #3. Artists Michael Walsh and Mike Spicer also bring their talents to the table as we come to the halfway point of the six-issue series. In this month’s issue, Rey “Force-Skypes” with Kylo Ren, Finn and Rose head to Canto Bight to find the master codebreaker, and Rey continues to look for answers about her past. 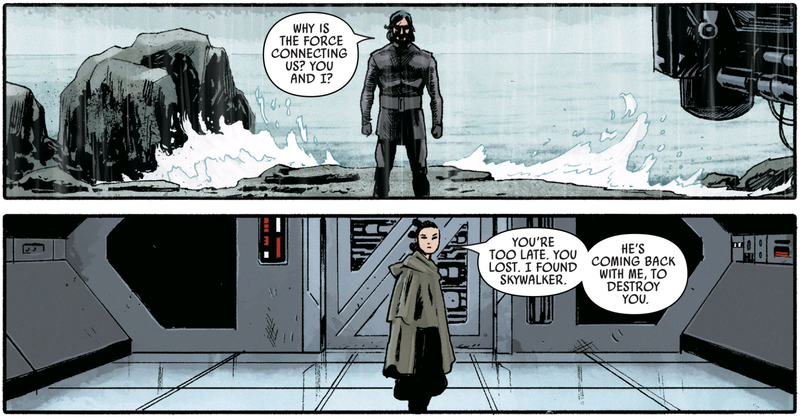 Despite Maz’s advice on Takodana to look ahead and not behind, Rey is still very much needing answers about herself and her parents in this issue, while Kylo Ren tries to convince her to let the past die. 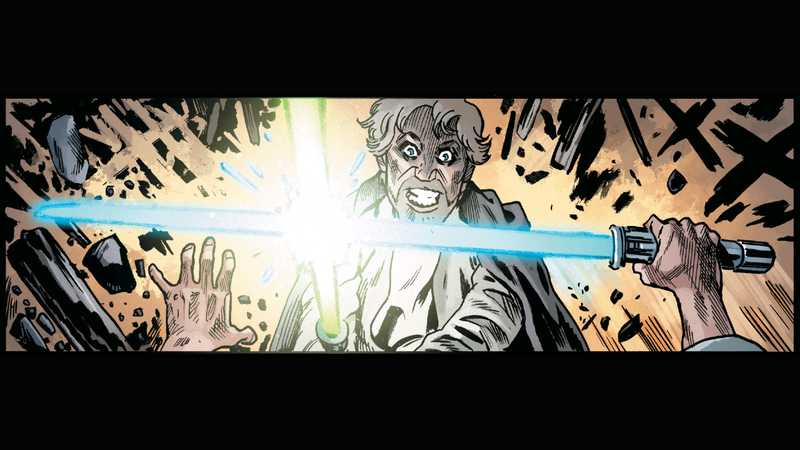 Despite the fact that a good portion of this issue is dedicated to what is (in my opinion) the worst part of The Last Jedi, I enjoyed the other half of this issue more than I did anything in the first two. 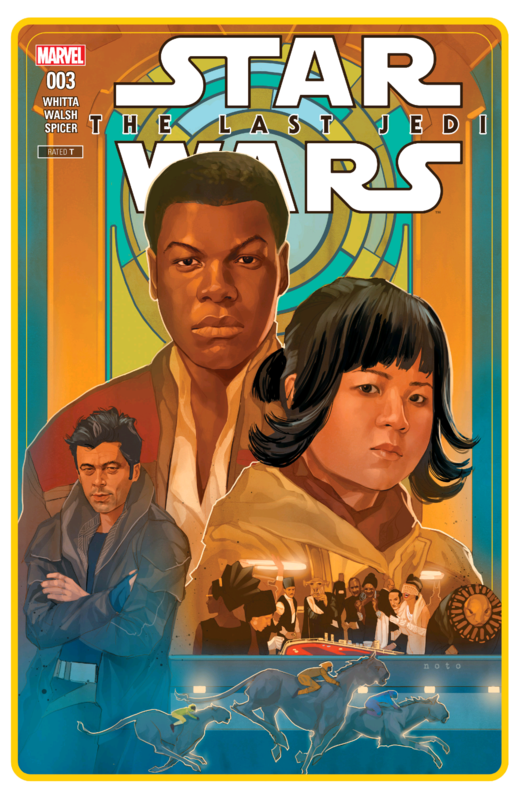 While Finn and Rose’s little adventure is still just as unnecessary and ham-fisted as it is on screen, the other half of this issue that focuses on Rey and her unexpected camaraderie with Kylo “Ben Solo” Ren was as interesting as ever in comic book form. I actually thought that the creative decision on the visuals during the “Force-Skype” scenes worked better in the comic than in the movie itself. While I thought these scenes worked in the film (largely due to the convincing performances of Adam Driver and Daisy Ridley), they did kind of break the “show don’t tell” rule by choosing to explain what the other was seeing rather than just showing the audience their perspective. I thought the scenes in the comic were handled in a much more effective way by actually giving the reader the perspective of each character. 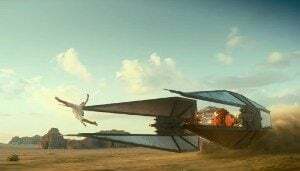 Once the conversations begin, Ben is depicted while speaking as if he is standing right in front of Rey on Ahch-To, while Rey appears to be on the First Order ship when she talks to Ben. 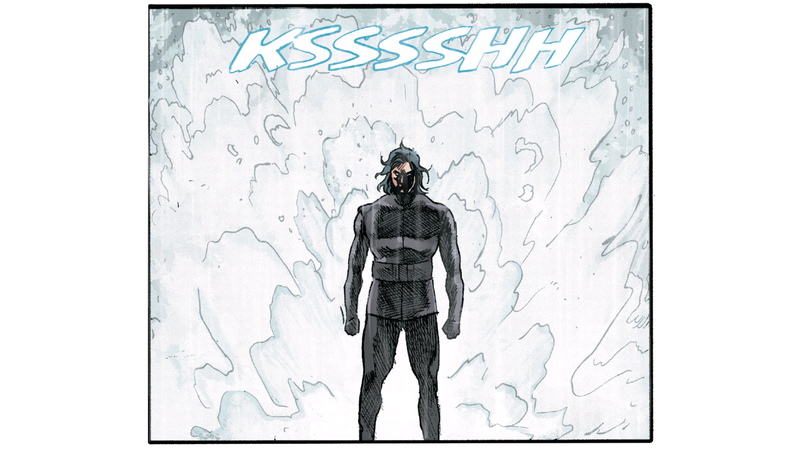 This creative decision made the moment where Ben feels the water on himself from the island all the more interesting, having just witnessed the ocean spray crashing behind him like Jason Momoa’s Aquaman coming up out of the sea. 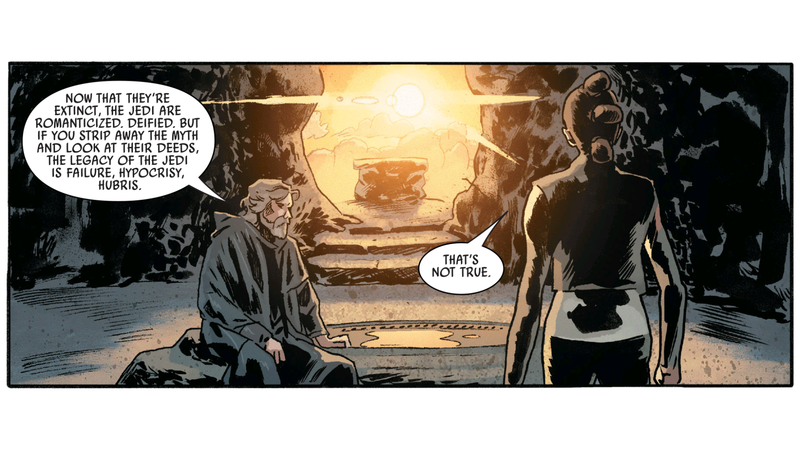 While this series has not been nearly as interesting as the Rogue One adaptation which showed us a lot of extra scenes that were not in the movie itself, one of the gems in Whitta’s version of the story is how he allows the reader to glimpse into the mind of Luke Skywalker as he evaluates Rey and her potential. The aged Jedi sees a lot of himself in the girl, which seems to scare him just as much as the thought of her going the way of his nephew. In this issue, Luke tells Rey of the failure and pride of the Jedi, as well as his own personal failure as Ben’s teacher. 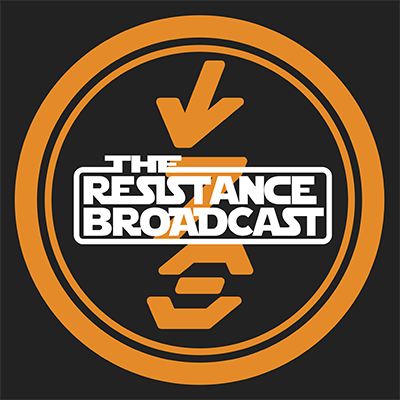 After Luke tells Rey his version of the story, Ben reveals his side of the tale, painting Luke in a different light than Rey had imagined, one that she is unwilling to accept at first. 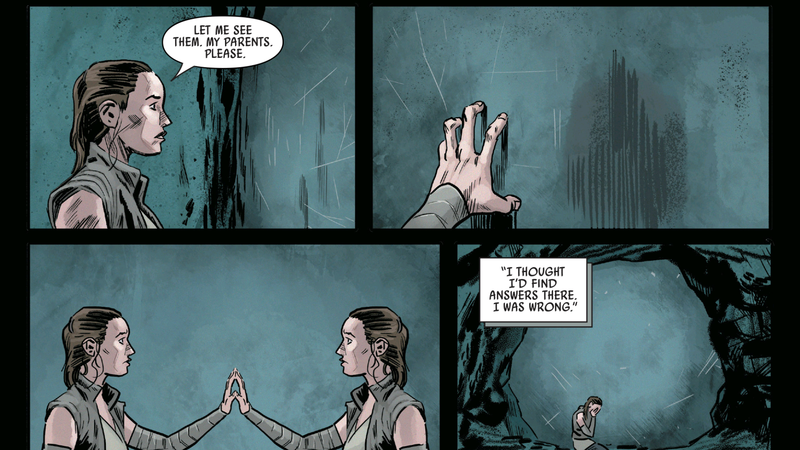 In a moment of weakness brought on by her feelings of loneliness, she allows Ben even closer, as the two physically touch hands in the privacy of Rey’s hut. 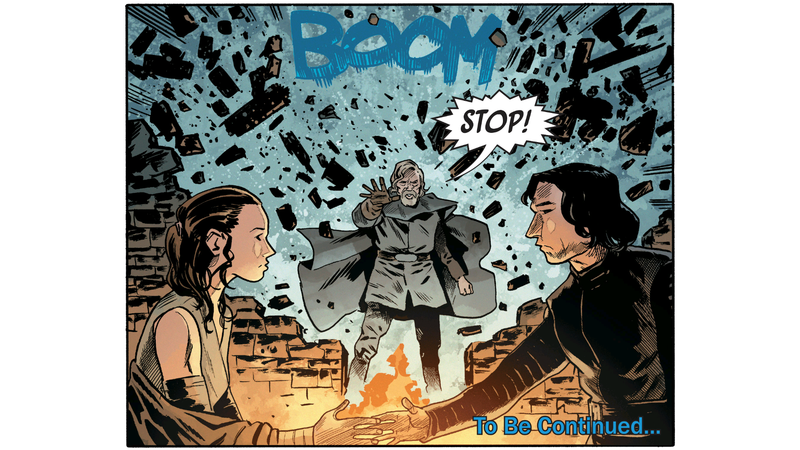 The intimate setting is soon interrupted as Uncle Luke crashes the party like a dad who’s discovered a boy sneaking into his daughter’s room, which was the perfect place to end this issue. 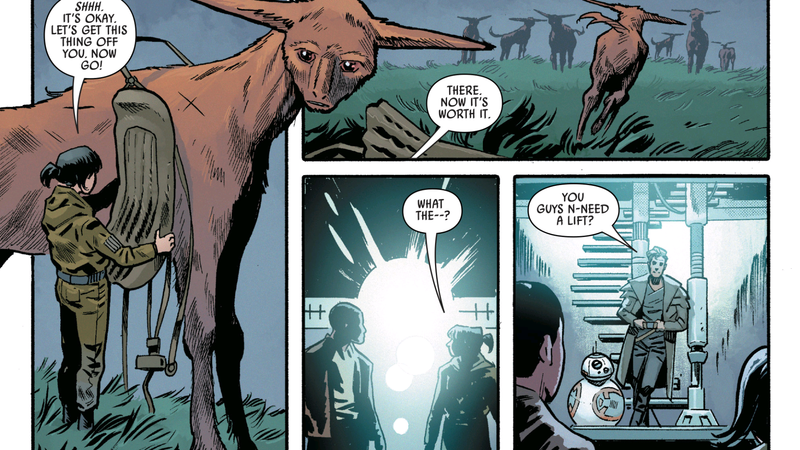 I found that this issue has the same problem as the movie in this part of the story, as the Finn and Rose arc becomes sort of a drag on the more interesting parts of the story that we really want to see more of, proving again to me how unnecessary the entire Canto Bight sequence in The Last Jedi really is. I like the characters of Finn and Rose; I just think they weren’t very effectively handled in this story, but this is an argument that has been made many times already, so I digress. 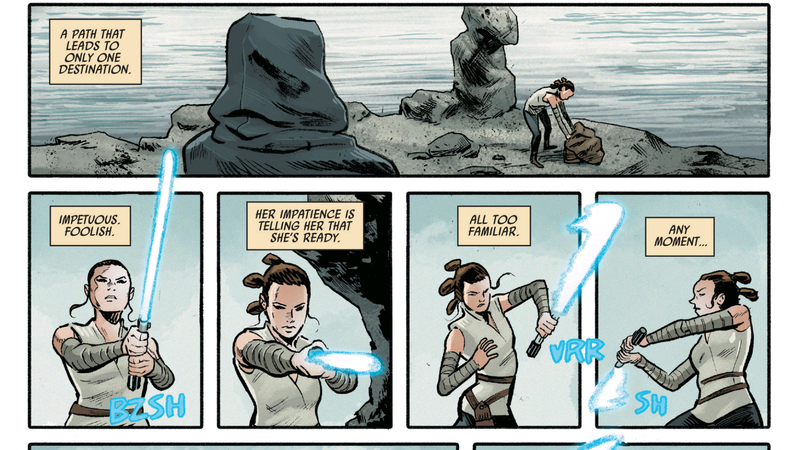 I’m just saying that the comic, as interesting as it is in most areas, is still unable to salvage this part of the story in any way as to make it more interesting, which stands out against the fascinating take on the Rey/Ben dynamic and Luke’s internal struggle. 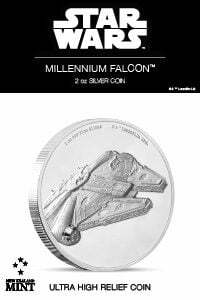 I think as far as adaptations go though, this one is good at capturing the essence of the movie in a way that is as fresh and unique as possible. I’m not a huge fan of Walsh’s overall art style as I have a preference for a little bit more realistic approach versus his cartoony character designs, but I do like a lot of the ways he used the art to tell the story in this issue. 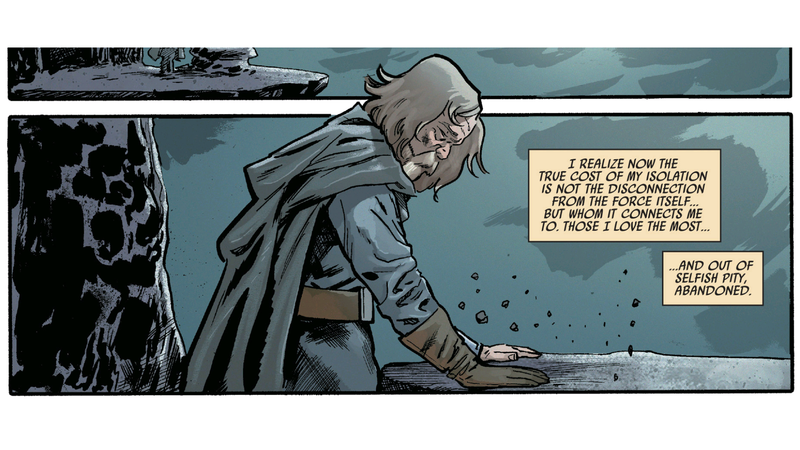 The Last Jedi #3 available now in a comic shop near you or online at Comixology. Happy reading comic fans!